We are LED PAR56 Pool Lamp Manufacturer and Exporter from 2012, Our customers are mostly from European countries, America countries, and some in Asian. LED PAR56 Pool Lamp is designed to replace Halogen 300W bulb with suitable size, so you don't need to ask if our LED PAR 56 Pool Bulb if fits your old poolhousing(niche) or not, the answer is yes. Besides, Only yellow color for Halogen PAR56 Bulb, but there are a lot of colors for LED PAR 56 Bulb, for example, Single color(red, green, blue, warm white, white), and Multi-color(RGB with remote). The single color is static state color. The Multi-color with remote is colorful, you can change lamp's color and mode by remote controller, for example, you can let the lamp stays on green color or blue, and also make it automatically color changing. 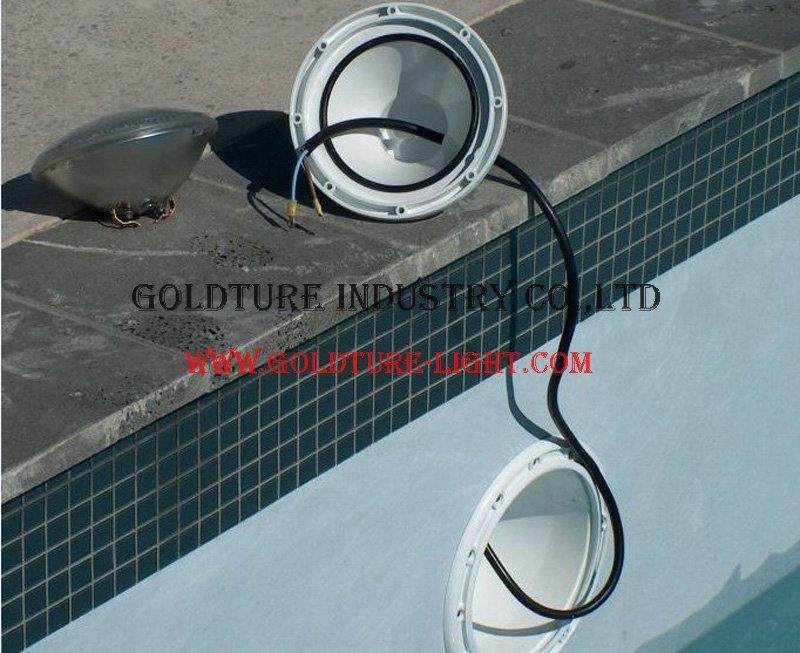 All our LED PAR56 Swimming Pool Lamp can work with AC12V and DC12V at the same time, but if you plan to install several RGB lamps in the same pool, and want them showing the same color(synchronous), so better for you to connect AC12V transformer instead of DC, because only AC12V can keep lamps synchronous all the time, unless you add one external RGB controller, so you also can make DC12V lamps synchronous, but if you only install one lamp, you can connect DC12V transformer, because it is cheaper. Our PAR56 Bulb can be using DIP 5mm LED, SMD 2835, SMD 3030, High Power LED as light source. and they can be 12W, 15W, 18W, 22W, 24W, 36W, 45W, 48W, 54W, 60W, 72W. Pls kindly send us email if you like them, we will send you pricelist.